Your independent site accommodation, welfare units and toilet hire supplier, serving London and the south east since 1961. NOW ISO:9001 and ISO:14001 accredited, we are an independent, family owned and operated provider of portable and mobile, anti-vandal site accommodation and weekly serviced toilets. We also provide a complete range of event toilet hire services for festivals, parties, weddings, and outdoor events. 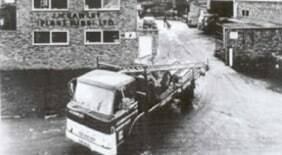 Established in 1961 we have been serving London, Essex, Kent, Hertfordshire and the south east for over 50 years. As a responsible business we aim to provide you with the very best products coupled with our award winning excellent customer support and service. Delivered to you by our dedicated Hire Office Team. No call centres. We like to think that we offer you the very best customer service and regularly get feedback from our customers telling us that we delivered above their expectation. In fact customer service is one of the foundations of our organisation. Our Customer Charter, Breakdown Promise and Delivery Guarantee provide you with our dedication to consistently providing a first class service. As an independent, family owned and operated organisation we have always been serious about our responsibility to our stakeholders and the environment. Below we have provided you with details of some of the activities we undertake to ensure that we are a responsible organisation to work with, for and near. We are particularly proud of our ongoing UKAS BS ISO 9001 and BS ISO 14001 accreditation’s. 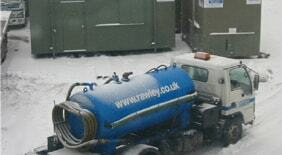 Based in Basildon, Essex, Rawley Plant Limited provide site accommodation and toilet hire services within Essex, London, Hertfordshire and Kent. However our COMBI® and COMBI-GEN® range of welfare units are available over a wider area.